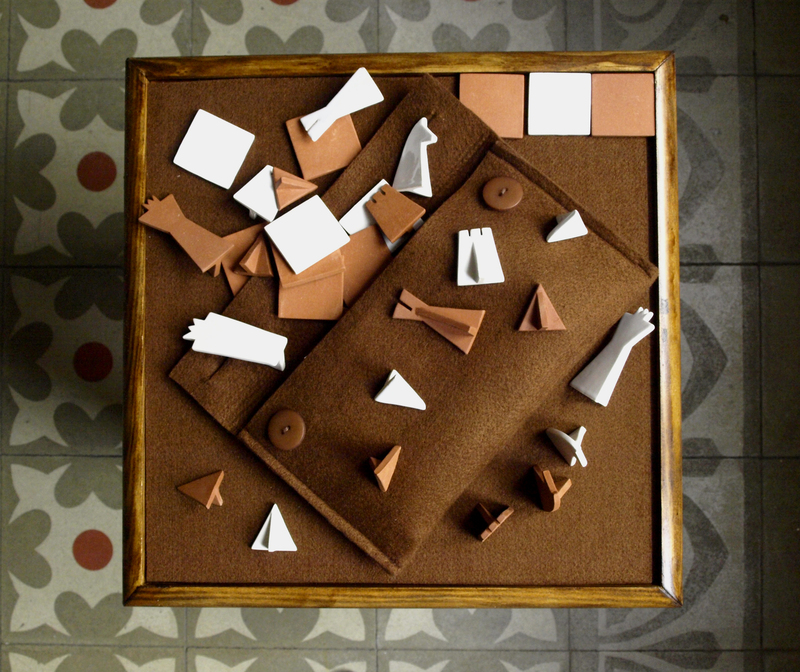 This project started in China a few years ago during the marquetry workshop I attended, and ended up in Barcelona at Apparatu studio last year. 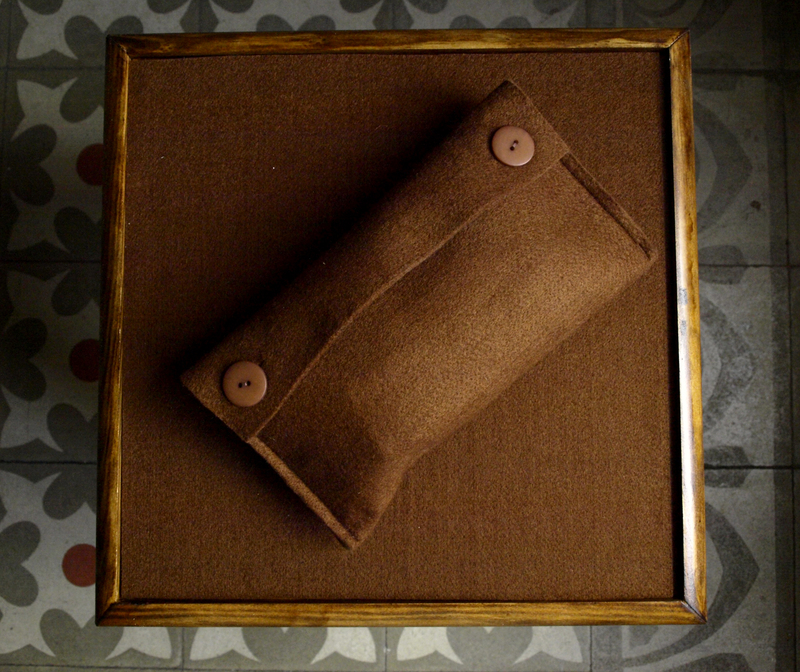 The support is made of wood and natural felt. 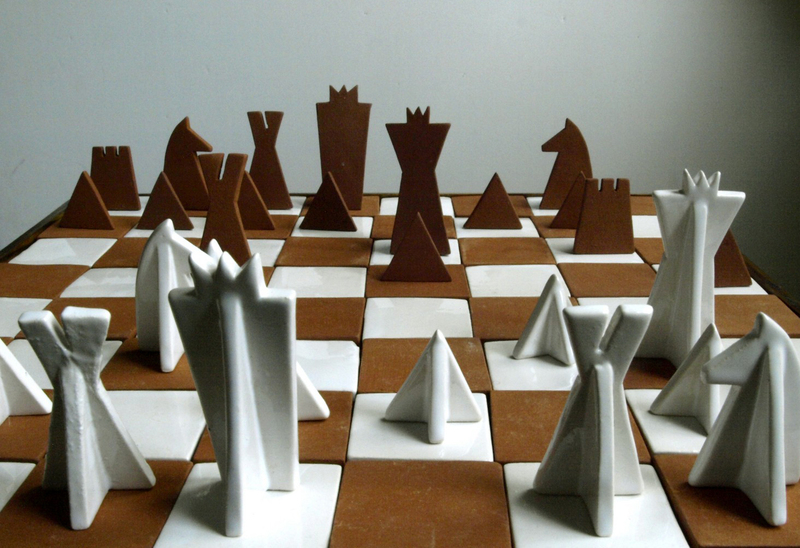 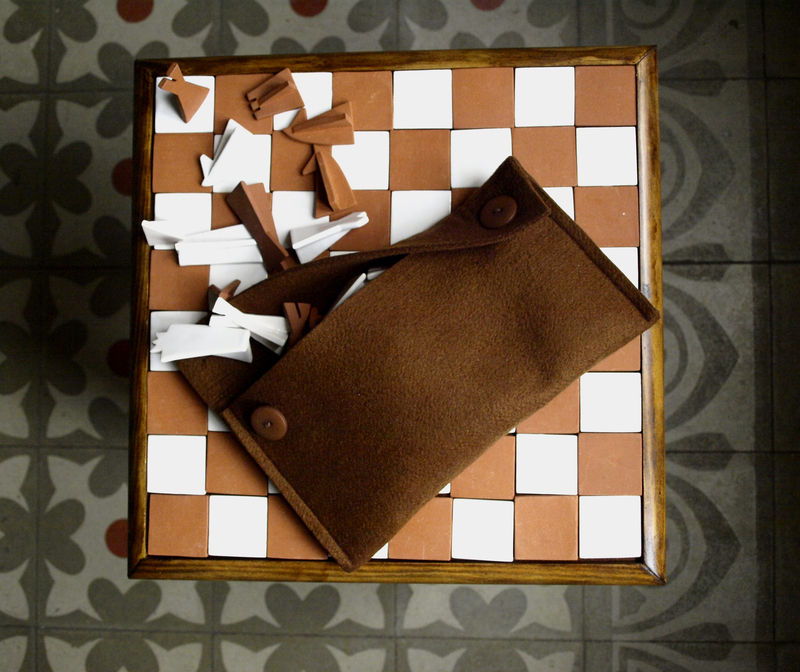 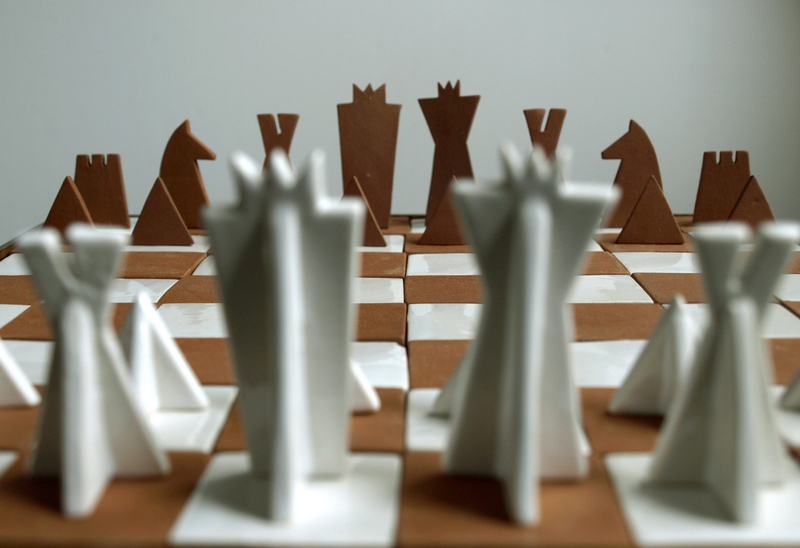 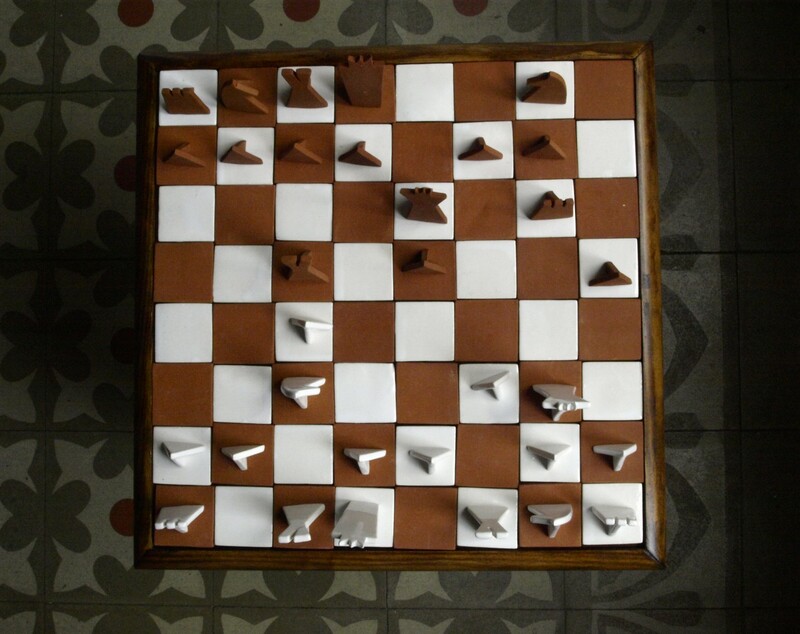 The pawns and the checkerboard are made in two different kind of ceramics: red clay cooked at high temperature and porcelain. 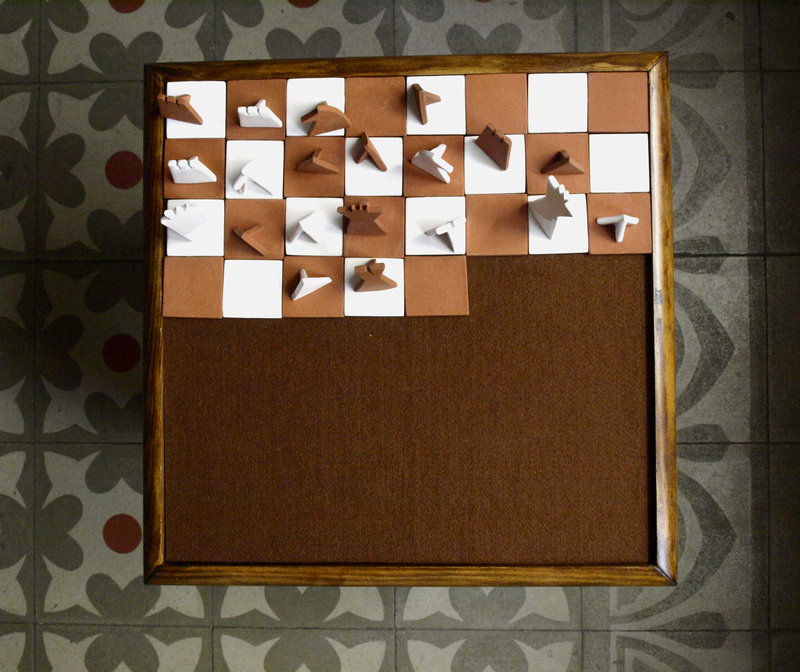 The user can build the checkerboard himself. 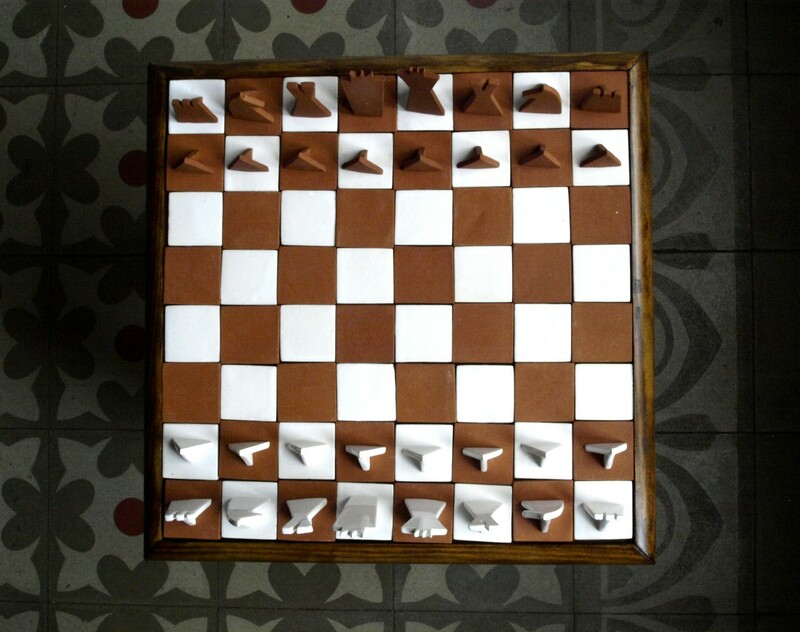 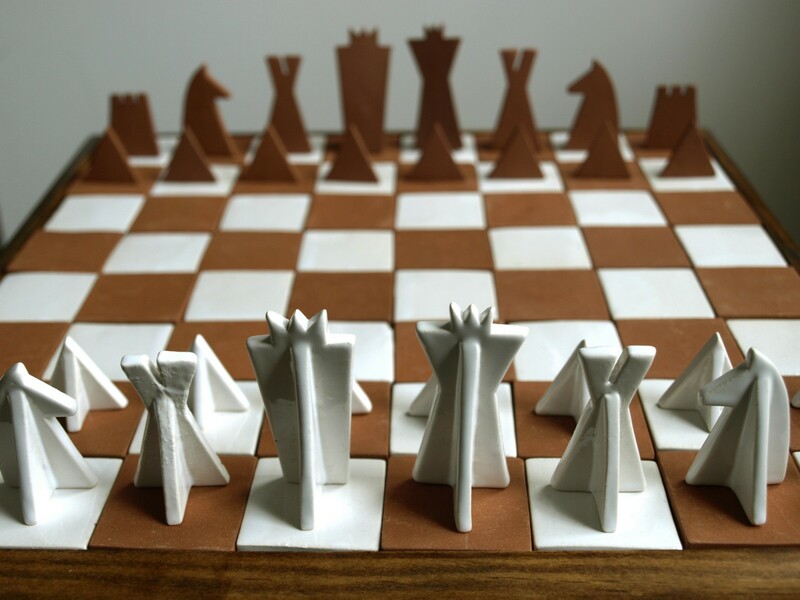 The use of ceramic, a kind of unpredictable material, brings irregularity into the object which contrasts with the mathematic and rigorous aspect of chess game (34 x 34 cm). 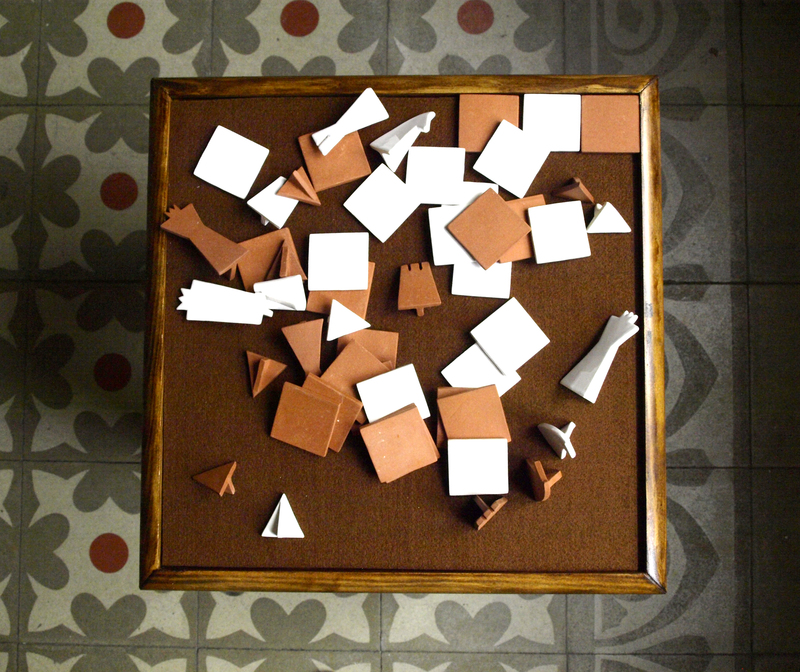 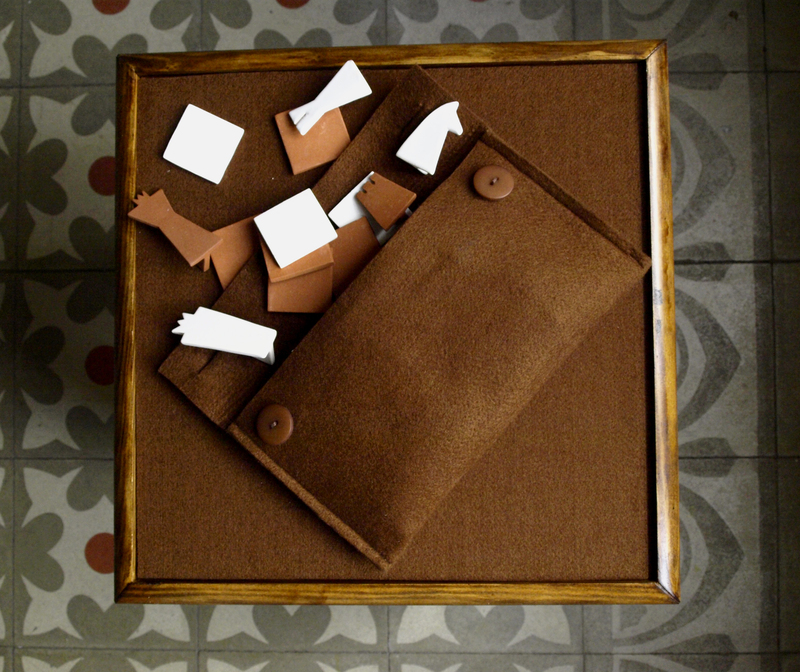 « Echec & Mat », personal project developed in Apparatu Studio, Barcelona, 2012.